Short-term rentals, powered by technology companies like Airbnb and VRBO, are shaking up the Condo Association industry. Their easy to use platform is making it such that Owners can easily – and often illegally – rent out their property to short-term vacationers for big dollars, despite most Association Bylaws prohibiting short-term rentals. This is causing havoc in a number of Associations for these flagrant rules violations. However, in parallel, some jurisdictions are starting to legalize and embrace short-term rentals, further confusing the issue. The result is that your community may want to consider creating Condo Association policies for short-term rentals to get ahead of the curve. 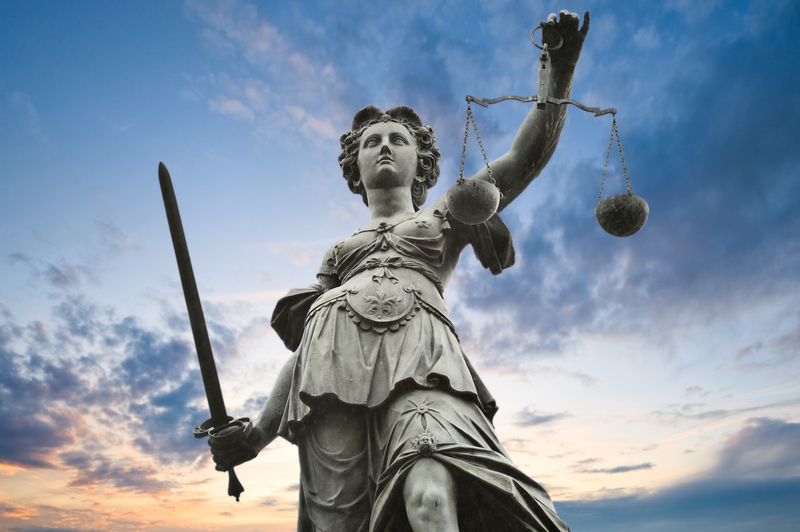 Lady Justice wants you to decide- are you in favor of short-term rentals? 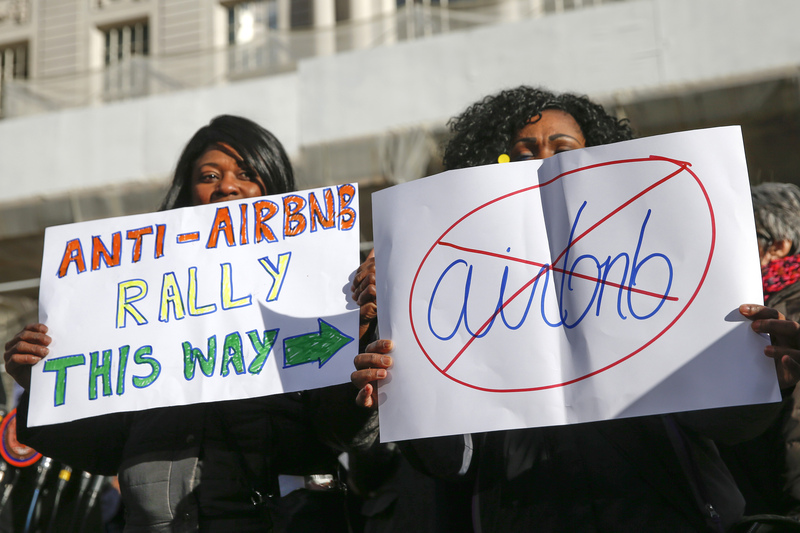 Your Association needs to decide if you want to welcome Airbnb or not. First and foremost in this process, you need to understand what your Bylaws say. Many Bylaws expressly prohibit short-term rentals. However, the definition of short-term may not be clear-cut and may create some flexibility. If you want to change your Bylaws – good luck with that, as it is usually requires a 75% vote of all Owners, which is typically very hard to achieve. Assuming you have the flexibility to go either way on the policy, now you can decide what you’re going to do as far as permitting or denying short-term rentals within your Condo Association. This is not a trivial decision, and not something you as a Board can make on your own. You need to make sure that you are gathering Owner input before making such a decision. You should also consult with your legal counsel to make sure you have strong legal footing. Given how controversial the issue of short-term rentals is, you may get hit with a lawsuit if you allow them, so make sure your decision is defensible. Noise and disruption – Make sure that you can levy swift and heavy penalties on Investment Owners who are renting out their properties to noisy tenants. Airbnb and VRBO offer extensive tools for tenants and Owners to vet each other. An Owner can, if they spend the time, work to find a respectful tenant. Encourage them with a strong fine system. Understanding liability to the Association – If you’re going to allow short-term rentals, you may incur additional insurance risk, as well as the risk of increased traffic from strangers. Make sure you map this out and understand the direct and indirect costs, and take any appropriate mitigation measures, like increasing insurance coverage. Cost to the Association – There is definitely a cost to the Condo Association in terms of short-term renters moving in and out, as well as overall management and risk. This is where you recoup those costs. You can attempt to charge Investment Owners by the rental, or on an annual basis. I would highly recommend a fair annual rental fee, as it is more likely to be complied with. You need to be careful, as fees need to be justifiable, but you can likely identify an amount that is fair to the Association and Owners. Determine if you want to try to limit the number of nights a property can be rented. This is a possible middle ground, which in particular can favor Owners who are renting their property when they’re away. However, it is unlikely to satisfy full-time Investment Owners. The key, as with all policies, is you need to identify what the biggest pain points are and create fair rules that are both enforceable and realistic. They don’t want Airbnb. Do you? A fine structure for those violating your short-term rental restrictions. Just because it’s in your Bylaws doesn’t mean you’ve got clear rules for issuing fines – you likely need to make a rule. Some Associations fine flat fees; others fine per incident. Consult with your legal counsel to figure out what is legally allowable, but still a deterrent. A plan for finding out who is breaking the policy. Larger Management companies may offer services to identify when properties are being rented out, or you can have your Management perform ad-hoc research. The now defunct “huntbnb” offered this service, but it is no more. This might also be a good time to audit your units and make sure your records are up to date for Owners and Renters. While an Owner obviously can rent the place out when they are on vacation, your Investment Owners may be more habitual renters. Consider running an awareness campaign for your Owners to enlist their help finding people who are renting their properties out. This isn’t ideal, but it may be one of the only ways to catch violators. Consider who you are most interested in targeting for enforcement. Is it repeat offenders who are always renting their units, or do you also want to go after Owners who just rent a few times a year when they’re out of town? One of the hardest parts of a policy to keep out short-term rentals is that you need to be able to catch the people violating your policies. With multiple platforms available to rent on – Airbnb, VRBO, Craig’s List, etc. – it can be hard to keep track. Additionally, you’ll need to run through the cease and desist process, which creates work for Management and Board members. This will continue to be a battle since there is so much money at stake. In a very interesting recent case, a California Coastal Commissioner demanded that a HOA remove a short-term rental ban. This is an immediate example of a government body pushing a HOA to embrace short-term rentals. Ultimately, I think, Associations need to be pragmatic, as the situation is far from settled. One of the main reasons people are opposed to short-term rentals is because those renters are often loud, obnoxious, and destructive. If you can ensure quality short-term renters, and combine that with auxiliary revenue for the Association as a whole, you have much less to complain about. Working towards collaborative solutions may the best way to create Condo Association policies for short-term rentals that make the most sense for all parties involved.